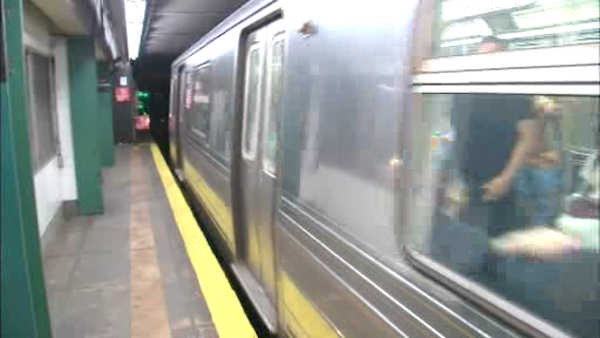 NEW YORK (WABC) -- Public meetings will be held across New York City starting Monday on the MTA's proposed fare increase. The agency is planning on raising fares and tolls by about 4 percent over the next two years. Monday's hearing will be in Queens at the Milton G. Bassin Performing Arts Center at York College, Main Stage Theater, 94-20 Guy R. Brewer Blvd, Jamaica, NY. Registration period is open from 4 to 8 p.m. The hearing begins at 5 p.m. The full MTA board will vote next Wednesday on whether to approve the proposed increases, which would take effect in March. The MTA unveiled two options for increases, based on how much of a bonus bus and subway commuters get when buying a multi-ride MetroCard. One option involves the base price jumping from $2.75 to $3, with the bonus increasing from 11 percent on a $5.50 purchase to 16 percent on a $6 one. The other keeps the base at $2.75, but lowers the bonus to 5 percent on $5.50 purchase. Currently, a seven-day MetroCard costs $31 and a 30-day $116.50. Under both plans, those prices would increast to $32 and $121, respectively. "We are giving them safe and reliable service," MTA chairman Thomas Prendergast said. "We want to get the flavor of the ridership at large with respect to how it impacts them. The overwhelming majority of customers are using seven day and 30-day." Prices would also be increasing on the Long Island Rail Road and Metro-North, capped at 3.75 percent, as well as at MTA bridges and tunnels.